CAPE CANAVERAL, Fla. (AP) — Another ‘Great Spot’ has been found at Jupiter, this one cold and high up. Scientists reported Tuesday that the dark expanse is 15,000 miles (24,000 kilometers) across and 7,500 miles (12,000 kilometers) wide. It’s in the upper atmosphere and much cooler than the hot surroundings, thus the name “Great Cold Spot.” And unlike the giant planet’s familiar Great Red Spot, this newly discovered weather system is continually changing in shape and size. 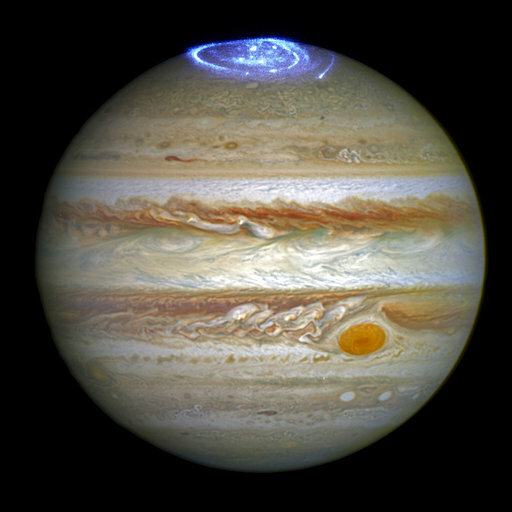 It’s formed by the energy from Jupiter’s polar auroras. A British-led team used a telescope in Chile to chart the temperature and density of Jupiter’s atmosphere. When the researchers compared the data with thousands of images taken in years past by a telescope in Hawaii, the “Great Cold Spot” stood out. It could be thousands of years old.